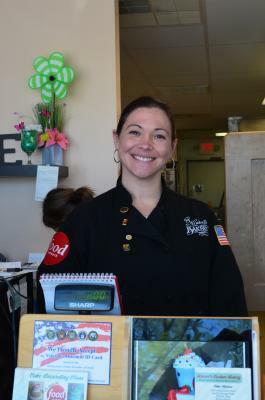 Colleen Kriebel graduated from the Culinary Institute of America in 2001. That training enabled her to take her chef’s credentials in any direction. But she chose pastry. She pauses and then smiles broadly. 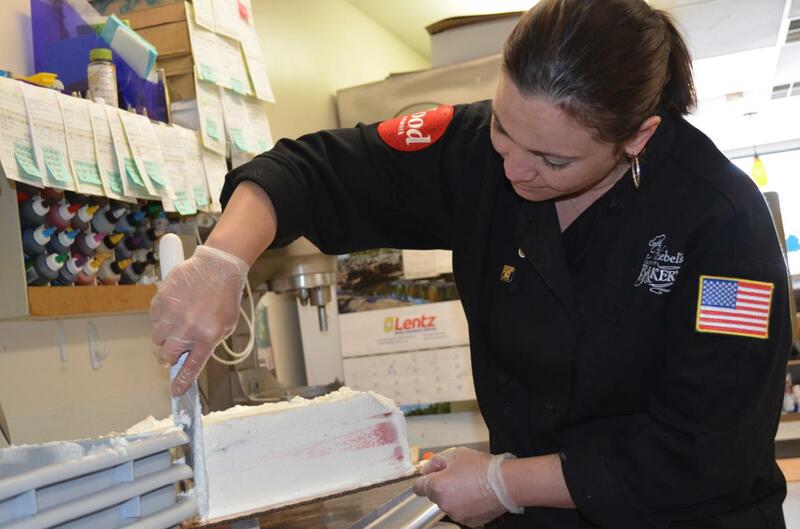 Kriebel has been owner-operator and chief pastry artist at Kriebel’s Custom Bakery, Eagleville, for the past six years. Her multitasking skills – crucial in meeting customer demand – became as sharp as a saw-toothed knife. “Those early days, I would have six cakes due in one weekend, and it would kind of freak me out…. How am I going to get all this done? 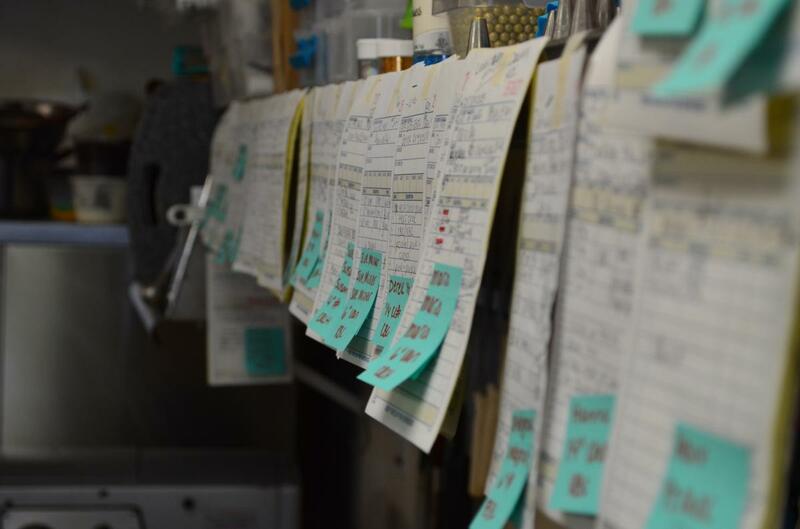 The combination of a well-organized kitchen and clear communication among staff keep everything on track. Kriebel uses an offsite bakery assistant to handle cake production for the shop’s large-scale sheets and multilevel towers; it’s her mom. When it comes the smaller-scale desserts on sale in the display cases, Kriebel lets her inspiration take over. “I like to take recipes and tweak them, making them mine,” she says. Her sticky buns are a good example. “The original recipe was my great-great grandmother’s coffee cake. I use that as a sticky-bun crust and fill it with German butter cake filling. I then top it with a sweet, cinnamon crust. That creativity spreads through much of her product line. A standard Tastykake Kandy Kake in her capable hands is reimagined into a glamorous petit four. She layers vanilla sponge with peanut butter and then dips the stack in chocolate ganache. She grabs a tiny cake from the refrigerator and begins writing an anniversary message on the top. As she works the piping bag, he whole body shifts, creating a delicately beautiful script. “You must have great penmanship,” I observe. 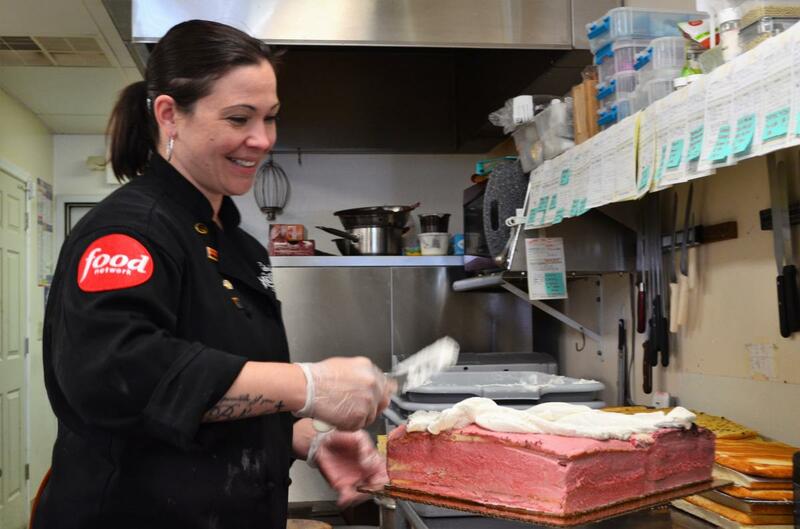 Kriebel’s skill a piping – and decorating in general – nabbed her a spot on an October 2016 episode of Food Network’s Cake Wars. “I was an assistant baker to a friend who works in Springfield, Delaware County. We were on the Addams Family episode and came in second place. As we talk, one of her assistants preps a cake for decoration. She begins by trimming off the raised center, leveling the layers. She demonstrates: “We take this extra cake and smoosh it up with a little dab of frosting and roll it into a ball. The moisture in the buttercream holds it together. Then, we refrigerate them. Kriebel’s success has heated up not only her own business but also her desire to give back. She’s very committed to educating up-and-coming pastry students. “I’ve always wanted to be a teacher,” she admits. “And I’ve always been grateful for what’s been done for me in this industry. So I bring a lot of students into the shop. 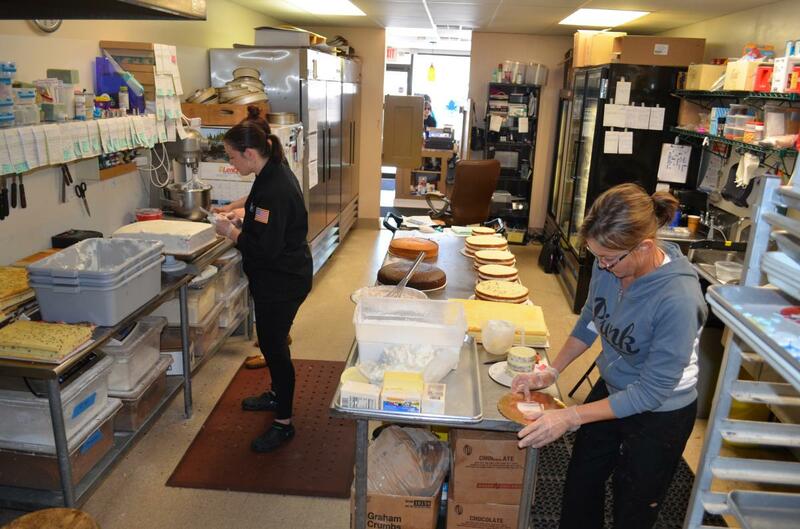 Kriebel sees her mentoring process as stirring passion in new bakers, as well as inspiring possible future employees at her Eagleville shop. 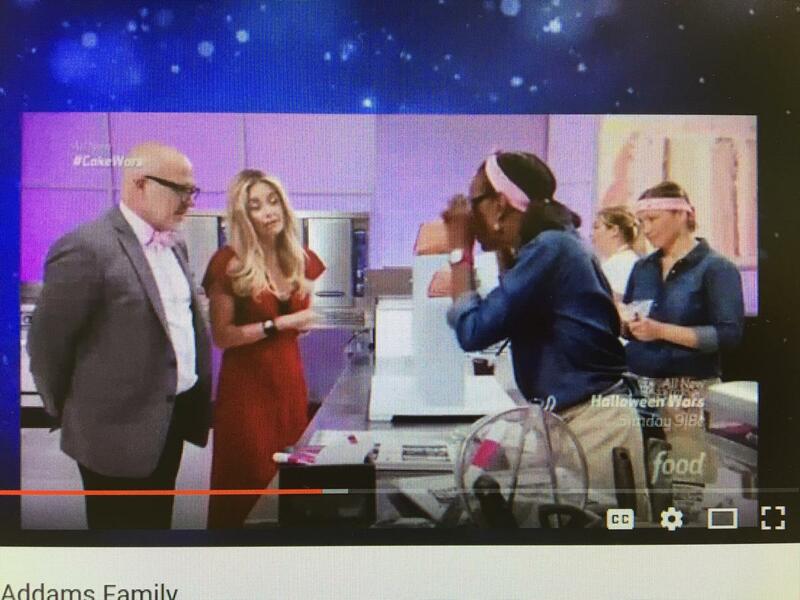 Her outreach to young pastry chefs therefore emerges on several fronts as an idea that’s not at all half-baked. 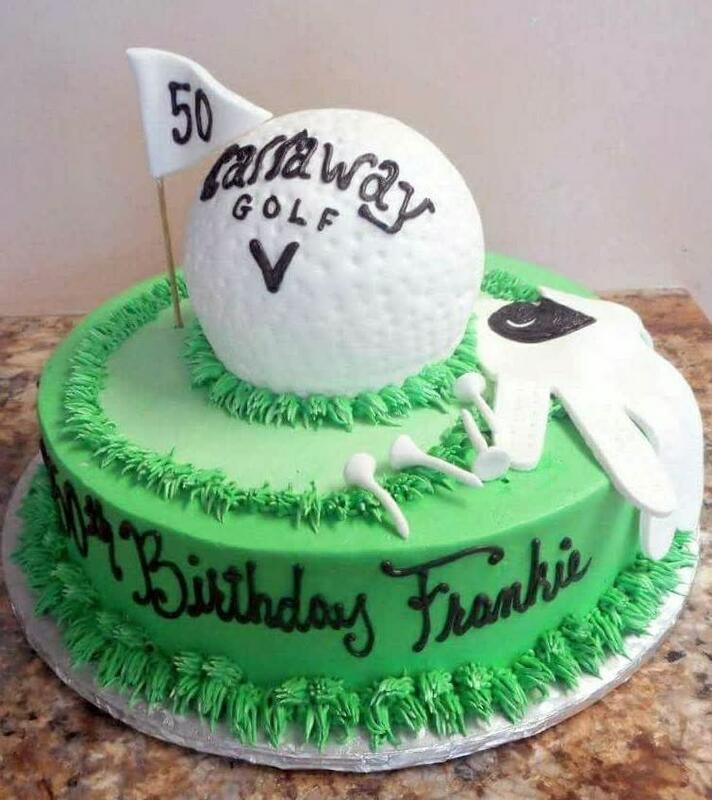 Contact the bakery for not only its desserts but also periodic cake decorating classes for both adults and kids.